Canada has so far forked over more than $311 million to develop the F-35 — without any guarantee it will actually buy the multibillion-dollar stealth fighter. The most recent instalment was made June 24, when the Liberal government quietly paid $32.9 million to the U.S. program office overseeing development of the warplane, despite having promised during last year's election campaign not to buy the F-35. The contribution keeps Canada at the table as one of the nine partners in the project for the next year. Partners get a discount when purchasing the stealth fighter, and have access to billions of dollars in contracts associated with producing the plane. Those potential industrial benefits are a big part of the reason why Canada continues to pay into the program, said Jordan Owens, a spokeswoman for Defence Minister Harjit Sajjan. The government says Canadian companies have secured US$812 million in contracts since Canada's first F-35 payment in 1997. "New skills and technologies gained through access to the program have helped position Canadian industry to take advantage of other advanced aerospace and defence projects," Owens added in an email. Being a partner, however, does not guarantee future work. 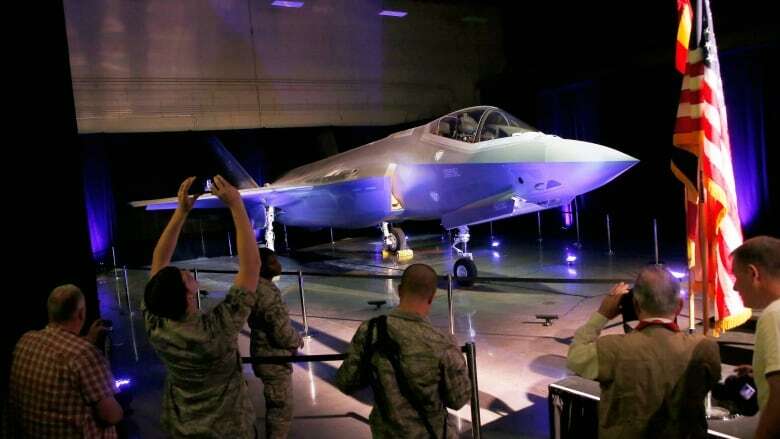 U.S. defence giant Lockheed Martin, which makes the F-35, warned last month that future work would be directed to other countries if Canada chooses not to buy the stealth fighter. Remaining at the table makes sense if there is a chance Canada will buy the plane, said former Defence Department procurement chief Alan Williams. "But if they've already made up their mind that they're going to buy something else, then it's a waste of money." During the campaign, the Liberals promised not to buy the F-35 and to hold a competition to replace the existing fleet of aging CF-18 fighters. Experts say that has put the government in a bind, since there's a real chance the fighter would come out on top in an open and fair competition. The government recently launched consultations with jet fighter manufacturers to address what Sajjan has described as a shortage of available CF-18s. But some worry the consultations are more about giving the Liberals political cover to buy a plane other than the F-35 without holding a competition. Owens said no decisions have been made in replacing the CF-18s. The five companies involved in the consultations are to submit details about their aircraft by Friday.